It’s difficult enough to come up with a good gift, but good gluten-free gift ideas? Well shoot! Don’t worry, we’ve got you covered! 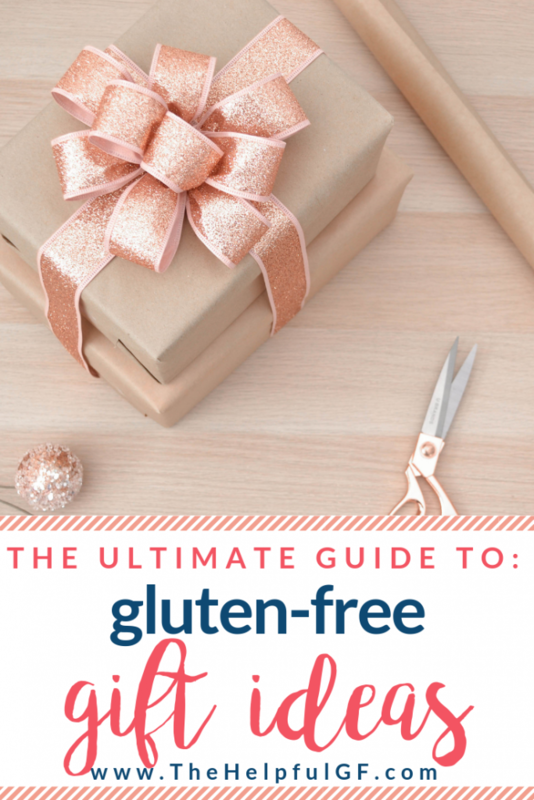 Here’s the ultimate guide to gluten-free gift ideas for all ages and price ranges! This post contains affiliate links. If you order something through one of these links I’ll earn a small commission at no extra cost to you! My full disclosure isn’t that interesting, but you can find it here. Candy is a great gluten-free gift idea for stocking stuffers, coworker gifts, and more! This caramel candy by Lovely Candy Company, is not only gluten-free, but also non-GMO and made without high fructose corn syrup and soy! Order them from Amazon here. You also can’t go wrong with chocolate! These peanut butter cups by Justin’s are 100% awesome! Not only are they certified gluten free (learn more about gluten-free certification and labeling here! ), but they are also Kosher, vegan, dairy-free, and made with fair trade chocolate. Buy a pack of 12 here! This gift idea is perfect for a college student—or someone who just doesn’t like to cook! You can always make your own, but if you need convenience, you can order one that’s already premade here! Want to add some cute printables inside your gift basket? 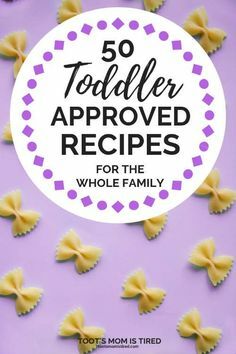 Get FREE instant access to my online library of free printables designed to make your gluten-free lifestyle totally easy! I love essential oils and use them daily! 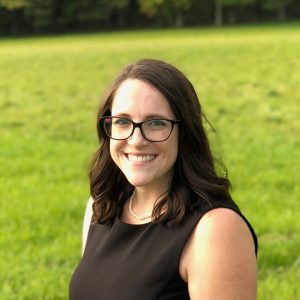 You can be sure that your oils are gluten-free when you order them from Young Living (read more about that in this post). Go all in by ordering the Young Living Starter Kit. Learn more about the starter kit and what to do with the oils inside in this post. Are you just looking for a stocking stuffer? Order the Christmas Spirit blend! Diffuse it in this diffuser and your house will be sooooo Christmasy! 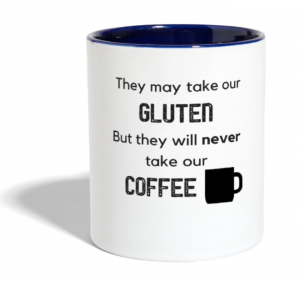 This mug is a reminder of the blessing that coffee is naturally gluten-free! See this mug and other mug styles here. ALL of Arbonne’s products are not only high quality, but are formulated without gluten or animal byproducts making these products great gifts! 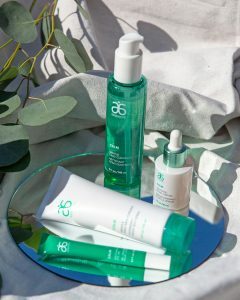 I actually wrote a whole post on why I think Arbonne is such a great gluten-free company AND detailing how to get discounts as a preferred customer. This baby care line makes for perfect baby shower gifts! This collection of skincare is so gentle, plus the product lasts a really long time! Into wine more than beer? This shirt would be perfect! It comes in multiple colors—see them all here! 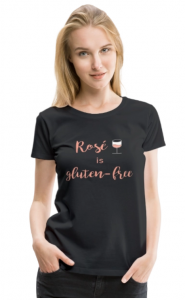 Check other women’s and men’s graphic tees with gluten-free sayings here! Play Doh is one of those places where gluten likes to hide…. Don’t let the kids miss out on the fun with this gluten-free version! Order it on Amazon here. Are you new to baking gluten-free? Be sure that you avoid cross contamination when baking—learn how in this article. Is baking not your thing? Order from a local gluten-free bakery! If you’re looking for a gluten-free gift idea for someone who loves to cook, get them a new cookbook (or two!) to try out! Need a good suggestion? I really love the cookbooks by Danielle Walker and the True Roots cookbook by Kristin Cavallari. You can see my review of Danielle Walker’s Meals Made Simple here and my review of Cavallari’s True Roots here. Stretch out the gifting fun by ordering a subscription to a top gluten-free magazine! All three of these magazines are filled with such great tips on living a gluten-free lifestyle! I have some great tips in my library of printables and you can gain access to everything in it for FREE! Just click the I want it button. Spice blends are another place where gluten likes to hide. They can cook safely and with a TON of flavor with these spice sets! 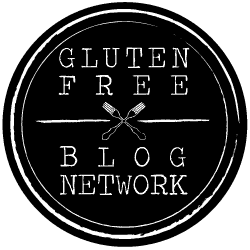 Do you want to know more about what other spice brands are gluten-free? I list a couple brands and where to find them in this post! Check out the NuWave air fryer here. Make shopping so much easier by purchasing a 1 year subscription to Thrive Market as a gluten-free gift idea! 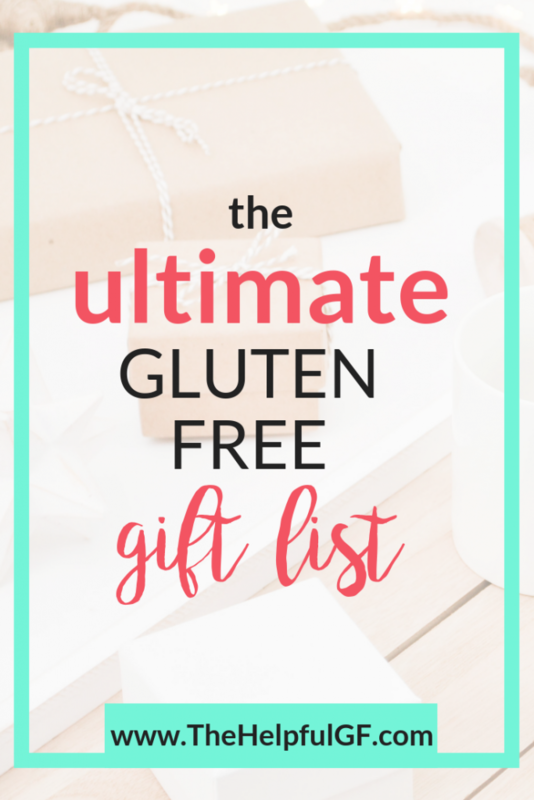 It makes gluten-free shopping so much easier when you can select to ONLY see gluten-free offerings, you can purchase it at a discount price, and they ship it right to your front door. Plus, they even see meat and wine! Read more about why I love Thrive Market in this post! It’s HARD to find a good premade gluten-free bread… so stop trying and gift a bread maker that has a special setting for gluten-free bread! Looking for a more budget friendly option? Try this Cuisinart version. 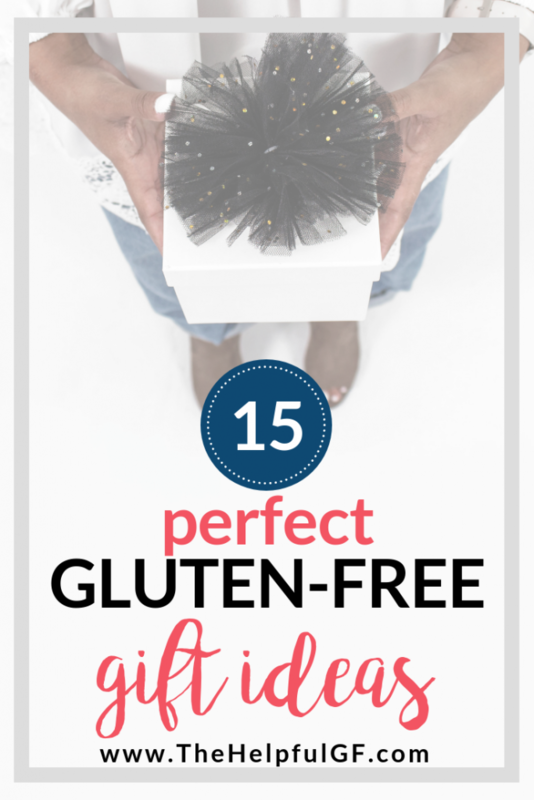 Which one of these gluten-free gift ideas is your favorite? Comment below and let us know! 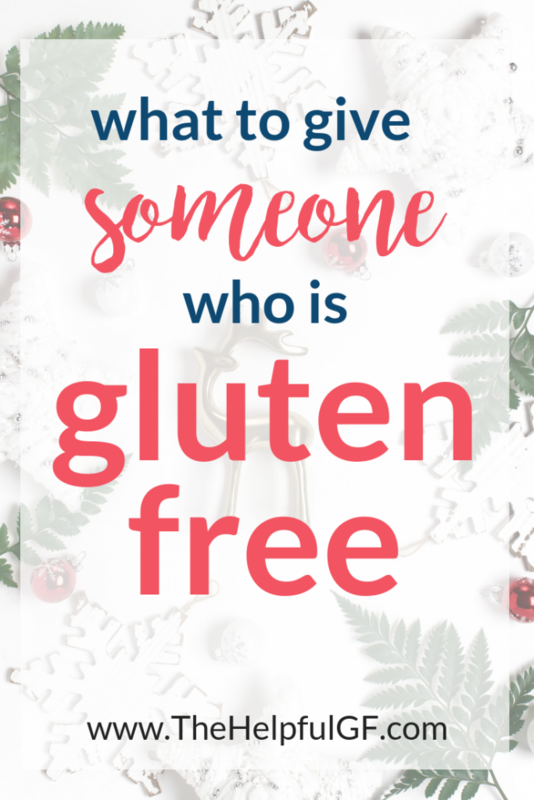 And don’t forget to pin it for later or share it on social media using the share buttons below so you don’t forget these gluten-free gift ideas! Are you ready to do gluten-free living totally STRESS-FREE? 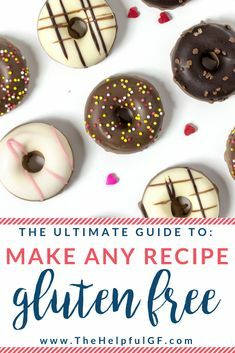 Get FREE instant access to my online library of free printables designed to make your gluten-free lifestyle totally easy! 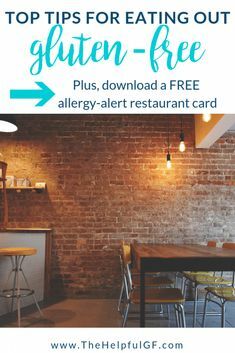 Signup to access all of the FREE RESOURCES available at The Helpful GF (printable gluten allergy alert card, weekly menu planner, & more)! Plus, updates and special offers! GO CHECK YOUR EMAIL TO CONFIRM YOUR SUBSCRIPTION! You have not yet confirmed your subscription. To confirm it, follow the instructions in the email sent to you. If you do not see that message in your inbox, check your bulk folder to ensure that your password for the FREEBIES is on it's way! 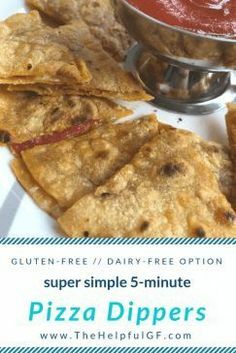 Thanks for letting me help you make living gluten-free totally stress-free! Access our FREE resources here!